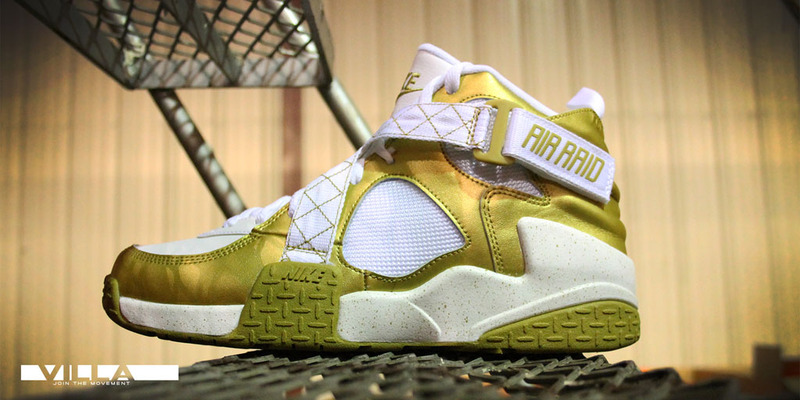 Nike's iconic outdoor hoop shoe arrives in an all-new gold accented colorway this weekend. 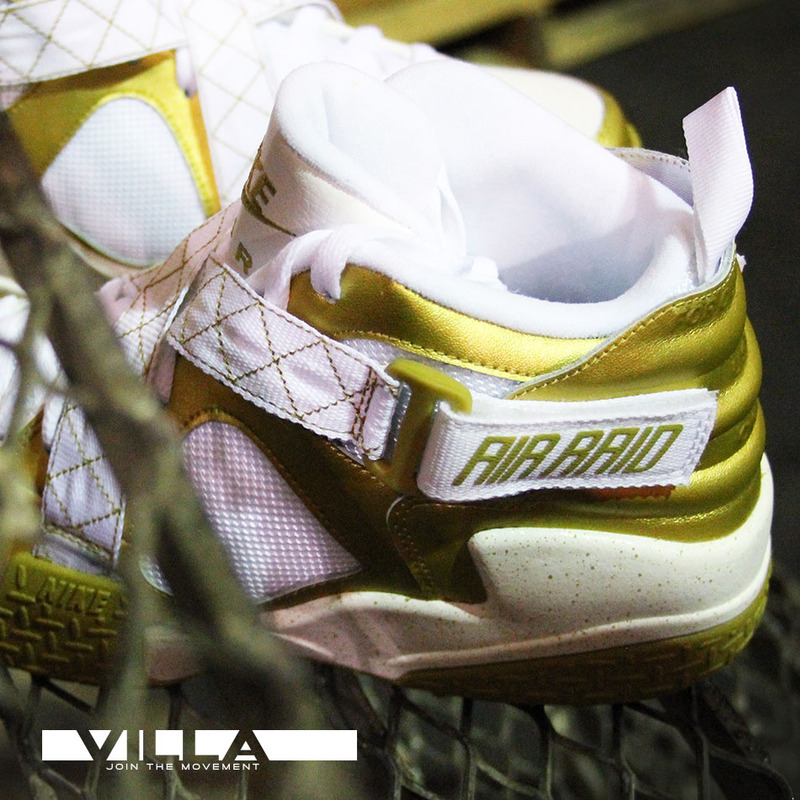 This make-up of the Air Raid brings white and gold together on its upper, which sits atop a speckled midsole and gold rubber outsole. 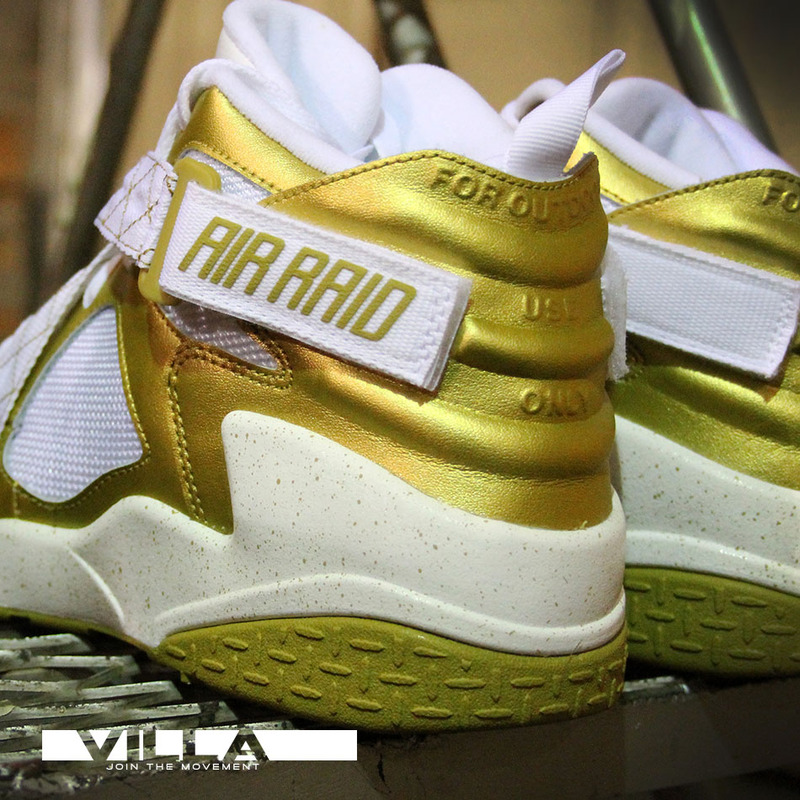 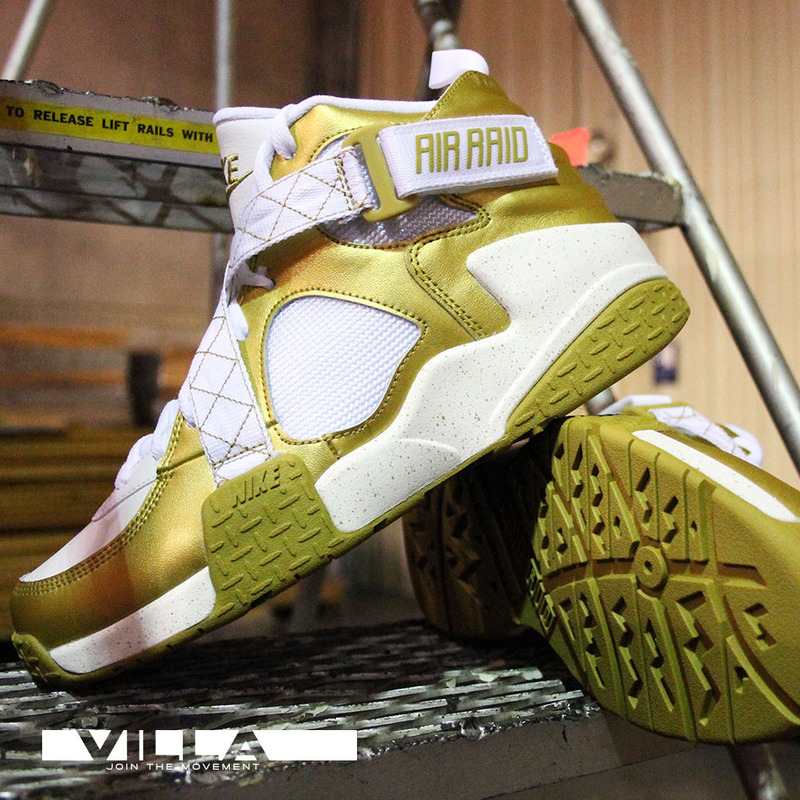 The 'Gold' Air Raid hits spots like VILLA this Saturday for $125.